A natural fit for your grillstone - experiment with this scombrid fish found worldwide in tropical seas. Wahoo is a firm, flakey white fish with textures similar to salmon but with little flavor to overly dominate the taste. 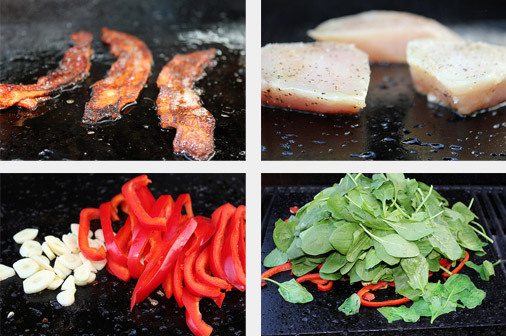 Start off pre-heating your Island Grillstone to 350 degrees. Grill bacon till crisp, remove to cool on a paper towel. Grill Wahoo steaks for 3 to 4 minutes on each side. You don’t want to over cook these. Turning only one time. Remove Wahoo and keep warm. Start with some sliced garlic and red peppers. Grill till tender. 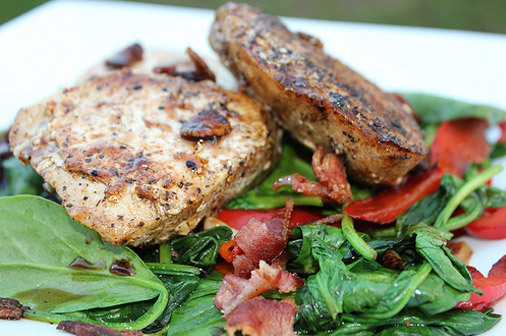 Place the spinach mix on a plate, add Wahoo steaks and crumbled bacon. Blend honey and balsamic together and drizzle over the Wahoo steaks.